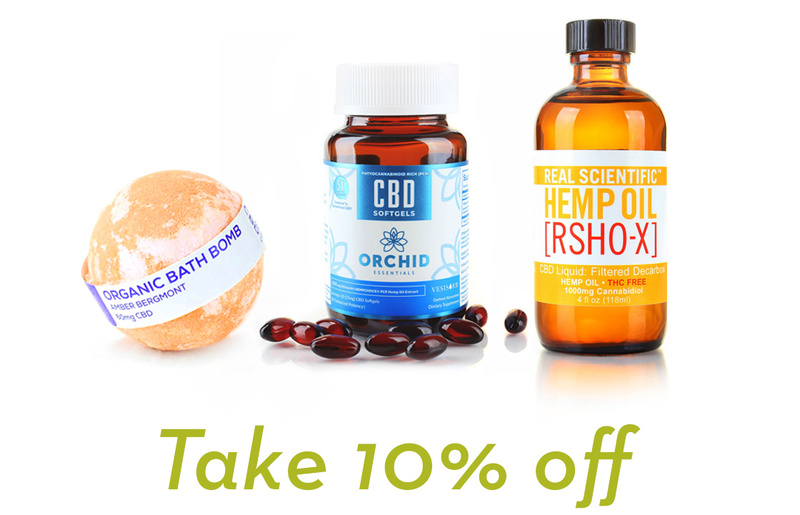 Home / Blog / Why is CBD Oil the Most Popular CBD Product? You may have only heard of CBD as “CBD oil.” Many people only associate CBD with CBD oil because (1) that is the extent of their CBD knowledge and (2) it is the most frequently talked about and used CBD product. CBD can come in many forms, in addition to CBD oil. These forms of administration include capsules, edibles, vapes, creams, tinctures, and much more. Because of CBD oil’s tremendous versatility, it is flagged as the most popular CBD product. CBD oil can be used for cooking, can be applied topically to the skin, it can be ingested orally, and it can be mixed in with your beverages. The list goes on. Before we get into the ins and outs of CBD oil, we will first give you a brief overview of CBD. People everywhere are raving about CBD oil in particular, saying it has relieved their back pain, rid their anxiety, aided in their PTSD or depression, and helped with digestive problems and forms of chronic pain like arthritis. In addition to its versatility, CBD oil appears to produce the strongest and fastest therapeutic effects in comparison to other forms of CBD products. This is most likely due to CBD oil being more bioavailable (the degree and rate at which the cannabinoid is absorbed by the body) than the rest of the CBD product pack. CBD oil, also referred to as cannabidiol oil, is the natural cannabinoid found in the hemp and marijuana strains of cannabis plants. Depending on the way the plants are cultivated, CBD oil derived from them can be very to moderately potent. So, the quality of CBD oil matters much more than quantity. Because CBD oil is just that — oil — it is in its original form of when it is extracted from the cannabis plant. This makes sense as to why the quality of content is greater than that of a lotion or capsule — those products have other ingredients mixed in, whereas CBD oil is just CBD or CBD with other cannabinoids extracted from the cannabis plant. Some best-sellers at Daintri are the Gold Label Liquid Filtered CBD Oil and Blue Label Liquid Unfiltered CBD Oil by Real Scientific Hemp. These CBD liquids are packed with natural vitamins, minerals, terpenes and essential fatty acids which allow them to support and defend various systems throughout your body. These oils can be used topically (for skin inflammation or pain) or consumed orally (for anxiety, focus, mood). They’re an excellent choice also, for their mild flavor and smooth consistency. What can you use CBD oil for? A lot of people view CBD oil as their everyday vitamin or wellness supplement, stirring it in their morning coffee or placing a few drops underneath their tongues before they head to work. They are also using it as an anxiety preventative, taking a few drops before a big presentation or other high-pressure situation, claiming it calms them down, improves their focus and allows them to think more clearly. For people with debilitating diseases and disorders like MS, cancer, epilepsy, or Alzheimer’s Disease, they are reporting CBD oil is significantly reducing their symptoms of severe pain and drastically minimizing seizures and improving memory loss. People also use CBD oil for cooking! This is a really cool way to incorporate the supplement into your daily routine, as it provides tremendous health benefits. If you are looking for a new wellness ingredient to add to your dinners or baked goods, take a look at Hemplucid’s water soluble CBD oil. Created specifically for cooking and baking, this CBD oil is bonded to organic vegetable glycerin which creates a sweet and sugar free, rapidly bioavailable CBD product. People also add it to water or cocktails (or any beverage, really) as a great way to upgrade your drink while aiding in metabolism, mood, energy, and inflammation. As our external environment affects our normal state of homeostasis within the body (think smoke, the sun, and other factors part of the outside world) our ECS keeps us in check by regulating our body’s reaction to those harmful external stimuli. Taking CBD oil, which would be categorized as an external factor, can enhance those feelings of balance and harmony, boost our moods, and manage physical and emotional stress as it interacts with the ECS. This is why some are referring to CBD as the “miracle molecule.” CBD oil’s wide-ranging health benefits and therapeutic effects are incredible, and as research advances, we have really only just seen the tip of the iceberg of its potential. CBD oil is a natural alternative for pain relief (joint pain, anxiety, inflammation, digestive issues) with little to no side effects. CBD oil can be used as a daily health supplement taken orally, used topically on the skin, or incorporated in food, beverages. CBD oils are a fast-working, potent way to get your CBD. Daintri is a leading online CBD retailer committed to bringing you the highest quality CBD products on the market. Home to multiple CBD brands, our quality is top priority because we care deeply about the ingredients and standards of our offerings.